Solar energy is induction from sun in the form of solar emission that is extracted from various technologies. Solar energy is used for many purposes such as cooking, heating buildings and generating electricity. Solar energy is also called heat trapper as it is automatic heat chaser which is also non mechanical. Solar panel, solar heater and solar cooker are some of the devices of solar energy. Largest region in solar energy market is Asia Pacific. Asia Pacific has dominated the global solar energy market by around 35% market share in 2016.China is the biggest contributing country in Asia Pacific. China has dominated the market with more than 11.09 GW installations due to increase in non prevalent energy prices. Following China, Japan is the second contributing country in Asia Pacific solar energy market. In former days, world’s biggest power plant was set up in India named Kamuthi solar park in Kamuthi, Tamil Nadu owned by Adani Power in order to provide electricity to population residing nearby and several other facilities. The solar park is set up in 2,500 acre land. Major factor that drives Asia Pacific Solar energy market is that government is taking initiatives to promote renewable energy sources. Recently Asia Development Bank has invested USD 110 million to encourage solar power developer in private sectors. However, economic slowdown in various countries of Asia Pacific is the major restraint that can curtail the growth of Asia Pacific solar energy market. Global solar energy market is expected to reach USD 430.2 billion by 2024 from USD 95.2 billion in 2016 at a CAGR of 25.01% over the forecast period in which Asia Pacific solar energy market has acquired 35% share of global solar energy market. Market value of Asia Pacific solar energy market is USD 33.33 billion in 2016 and is anticipated to reach at USD 150.5 billion by 2024 at a CAGR of 15.8% over the forecast period. On the basis of solar module, monocrystalline silicon cell has dominated the segment because of use of solar module in residential applications. Monocrystalline silicon cell dominated the solar energy market with 40% share till 2016. Monocrystalline silicon cell has the market value of USD 13.33 billion in 2016 and is expected to reach at a value of USD 60.2 billion by 2024. On the basis of generation, first generation solar energy market has dominated the segment because of constant use of photovoltaic cell. They are used to generate electric power. Photovoltaic cell is used with monocrystalline silicon cell to increase the demand of first generation solar energy market. On the basis of countries, China is the biggest contributing country in Asia Pacific. China has dominated the market with more than 11.09 GW installations due to increase in non prevalent energy prices. Japan is the second largest contributing country following China. Cost of operating solar power project is very low, initiatives taken by government to promote solar power, fluctuation in price of silver which is major raw material in solar module and reduced prices of solar modules in some countries of Asia Pacific are the major growth drivers that drive the demand of solar energy in Asia Pacific. 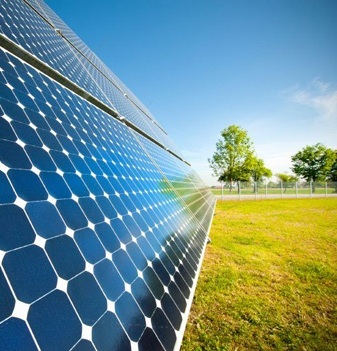 Since solar energy market is an emerging market so cut throat competition among key players of solar energy market, lack of trust in population regarding solar energy, high prices of devices and economical slowdown of various countries in Asia Pacific are the major restraints by which growth of solar energy market is affected. Power-One Micro System Pvt. Ltd.